“Three single men were renting an apartment together, sharing the cost of utilities. One of the three, Mr. Ekwa, was designated to collect the agreed upon amounts from the others each month and to pay the electric bill. Just before the due date on one occasion, Mr. Ekwa had a personal bill that had to be paid before the due date of the electric bill, so he used the money he had collected from the others to pay it. He did this knowing he was owed money by a friend who had said he would pay him before the electric bill was due. Well, the friend did not pay Mr. Ekwa, the electric bill was not paid, and the electricity was cut off. To get the electric service restored, the bill plus a fine would have to be paid. The apartment mates did not consider Mr. Ekwa as irresponsible or dishonest, although they grumbled about having to pass some evenings in an apartment lighted by candles” (p. 14). How would you feel if you were the roommate in this situation? If you are like me, you would have been pretty upset. Because for the American, when money is allocated for a purpose we expect it to be used for that purpose. 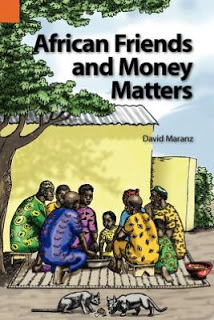 However, as David Maranz says, for the African “The financial need that occurs first has first claim on the available resources” (p. 14). In this case, Mr. Ekwa’s personal bill took precedence over the electric bill because it was due first. His roommates understood this, and therefore, though they did not like it, they accepted the lack of electricity. What a very different way of looking at money! Would you have confronted your roommate? Told him that his actions were sinful? And what would be the biblical basis for that confrontation? To me, it almost seems like theft, stealing my money for your own purposes. But what I have been realized in reading this book is that there are certain ways that we live life differently than Africans. They tell you when preparing for cross-cultural living to chant the mantra “It’s not good, it’s not bad, it’s just different.” And though some of these differences are genuinely bad or good, many of them are just differences. It is natural for us to think that our own culture is the best. I have been surprised recently to find that other people think their culture is the best, and not just Americans! All around the world there are thousands of different cultures, each of them reflecting the image of God in aspects of their culture. It seems every culture does get some things right. I had the opportunity awhile back to hear a man from Africa teach a session at a Perspectives course. He talked about many subjects, but at one point he made a statement (I am paraphrasing): “Truthfully Africans are much more like the New Testament church than Americans. 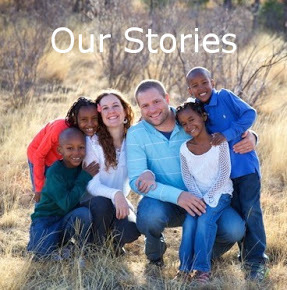 We live in community, caring about the needs of others in our day to day life and we share what we have. To read about an African church is much like reading Acts 2!” In my observation this man is correct. 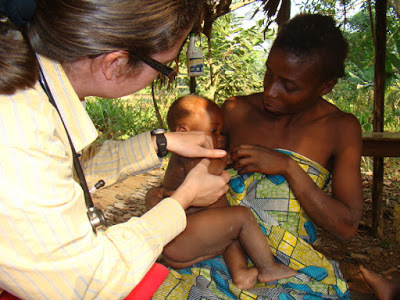 African people are invested in the lives of their neighbors, helping each other in very practical ways. They share what they have and care for each others’ needs. And I think we ought to learn from them. It is an amazing opportunity when one travels overseas because they get to step outside their culture and observe how another culture reflects Christ. And like an atheist fireman rushing into a burning building to save others, they may not even know they are reflecting Christ. When all is said and done, I think that the above example of financial responsibility is just a difference. I think that Americans look at money allocation differently than Africans, which results in Americans expecting that allocated money should be used for the allocated purpose. From what I understand this has meant a great deal of frustration for Americans working in Africa, and the Africans working with them. Africans have been accused of dishonesty and irresponsibility and Americans have been accused of hard-headed fiscal policy which ignores pressing needs in favor of the less urgent. But I believe much of that frustration is based on people seeing black-and-white where they should see grey. And unfortunately for those of us who love the black-and-white, we live in a very grey world. In Jesus’ day people wore robes, in America we wear jeans, and in many tribes in the world today they do not wear much! God addresses modesty, but it is worked out very differently in the world’s cultures. When Jesus came to the earth he never became like us in our sin. But he did take on flesh, wore the clothing of his day, spoke in the language of the people around him, and even went to at least one party and provided the wine (see John 2:1-12). One of the many challenges that we will face will be to try to gain a vision beyond our own culture and divide that which is good from that which is bad from that which is just different. This will require supernatural wisdom, openness, patience, and a reliance on the Holy Spirit. In a very un-American way, we must be “quick to hear and slow to speak” (James 1:19). **In fact, if you are not actively involved in opposing the sinful practice of abortion in America, let this be a challenge to you. Be like Christ: oppose what is evil in our culture! If you need some convincing in that area, check out: http://speakfortheunborn.com. Good food for thought, but I would hold that the man used money that was not his, making this not much different than me "borrowing" money from your wallet left on the counter believing that I will be able to replace the cash before you notice. At best, this is rude and will undermine your trust in me. At worst, I am unable to replace your money and you end up in a bind – making your "giving" compulsory. I think Paul's example in Philemon shows that holy persuasion is appropriate, but not speaking for someone else's "possessions". That said, this is a low priority issue. I would expect to have bigger fish to fry. I definitely hear you. However, I think that what it comes down to is expectations. If, in my culture, I expect that the money that I give you for utilities will actually be used for the most pressing need, then for you to use it for the most pressing need is not dishonest. In America we would expect it would be used for the allocated cause, but apparently an African would not. Barry Abbott showed me this book, and the Friesens talked with me about some of the cultural, moneterial differences between Americans and Africans. I was pretty disturbed/culture shocked at this! As you said, we will need much wisdom and cultural and biblical insight to discern what is good, what is bad, and what is just different (although the two examples you mentioned are obviously sinful). 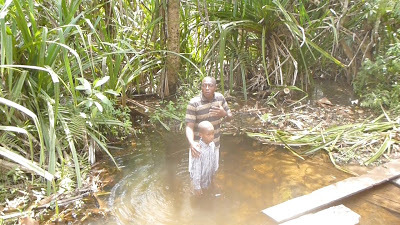 I suppose this will play a large part in what it looks like to make disciples in Cameroon. I completely agree that we often see in black and white, when we should leave room for the grey. 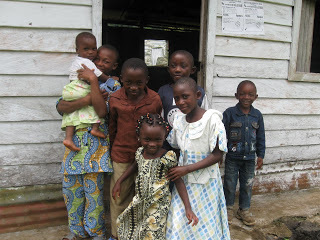 This will be our lives in Cameroon! Did you meet Mama Lindo? She's professes to be a believer, and Barry believes her to be, but she gets drunk on a regular basis. In America, we would assume in a very black and white way that she is not saved. But I'm not inclined to disagree with Barry's assessment of Mama Lindo, at least not only spending very little time with this sweet woman. A grey area, indeed. It's interesting to think that what is sinful can vary from one culture to another. We must know what's behind the actions in the heart. Not that drunkenness is sinful only in certain cultures. This one is always sinful. That much is black and white! Yeah, Richie, I think from what I have been learning it is really important to be slow to make judgments and to realize that things we take for granted in the US are not always true overseas. That does not mean that we do not condemn things in the end, just be slow to do so for the purpose of understanding the entire situation. As far as your solution (withholding the money until right before it is due) I think I would probably do that too. However, it would likely be considered selfish and hoarding by Africans from what I understand. I think at times to operate within my conscience I will have to violate cultural norms which will appear bad to others. I don't like that, but I don't really see any other way.